The seventh incarnation of Wildwood, NJ's The Race of Gentlemen, June 9 and 10, saw the usual suspects pitting their vintage American machines -- '30s -'50s hotrods and pre-1940s motorcycles -- against sand, surf, and the elements with several storm systems blowing through the area on the Saturday and Sunday. But nothing could dampen the spirits of racers and organizers ... not weather, not accidents, not the inevitable breakdowns. The battle brings out the best in competitors who have been known to drop everything to help a comrade get his or her machine in running shape. In a day and age where the ‘builders’ mentality and self-sufficiency seem to be falling by the wayside, TROG seems to be keeping those old values burning bright. Check out some incredible images from the weekend generously shared with NYC Motorcyclist by Godspeed Co. 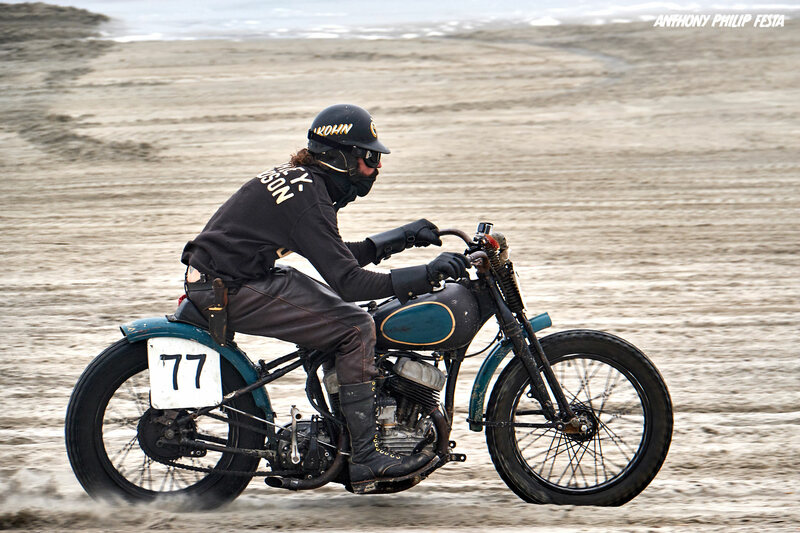 The Race of Gentlemen -- presented by the Oilers CC/MC -- returned to Wildwood, NJ for another long weekend of beach trials, June 8 - 10, featuring authentically vintage hotrods and motorcycles highlighting America's rich moto heritage. Before the racing kicked off, there were some gems to be seen at the registration / car & bike corral. While the main action at registration, next to the StarLux Hotel, kicks off on the Friday morning before TROG, there are always folks around on the days leading up as well. Here, you can get up close and check out the bikes before they run on the sand. It's a great place to watch, listen and talk with those racing and in town to enjoy the show. On race day, with rain on the forecast, you could feel a bit of tension for the event to get moving, and once on, the racing was intense. 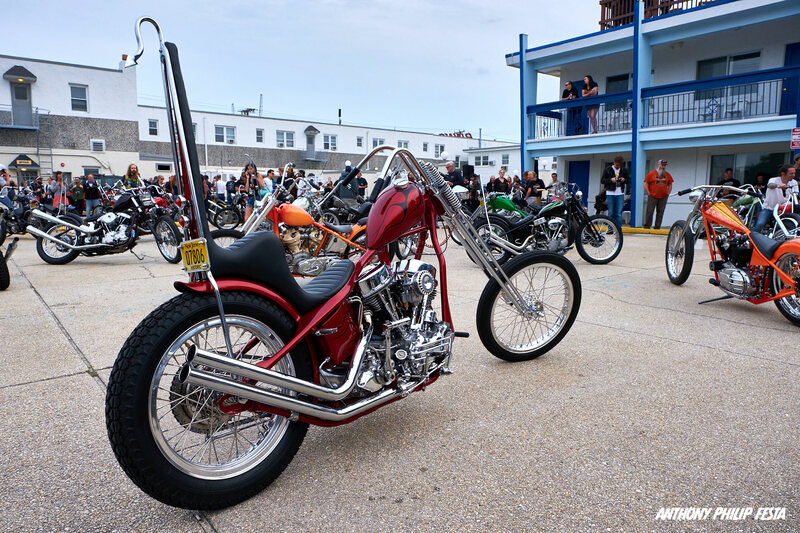 An annual pre-party for The Race of Gentlemen, Wildwood, New Jersey's Night of the Troglodytes again took over the parking lots between the Binn's and Bonito Motels, June 8, to showcase '60s and '70s choppers and the easy rider culture. 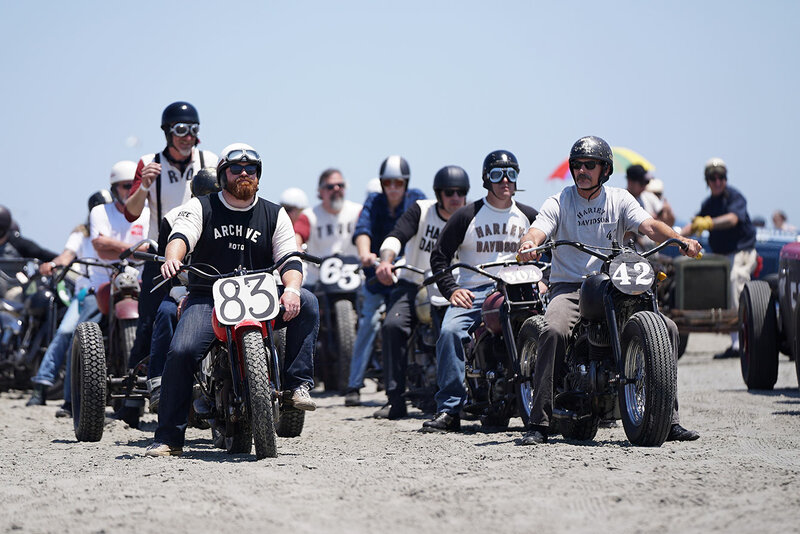 Organized by Harley Carrara, of Tradition Cycles, the vintage show/party drew bikes from all over the country, and visitors from around the world. The collection included everything from survivor choppers that appeared fresh from a deep slumber to some seriously well groomed machines aimed at taking trophies. 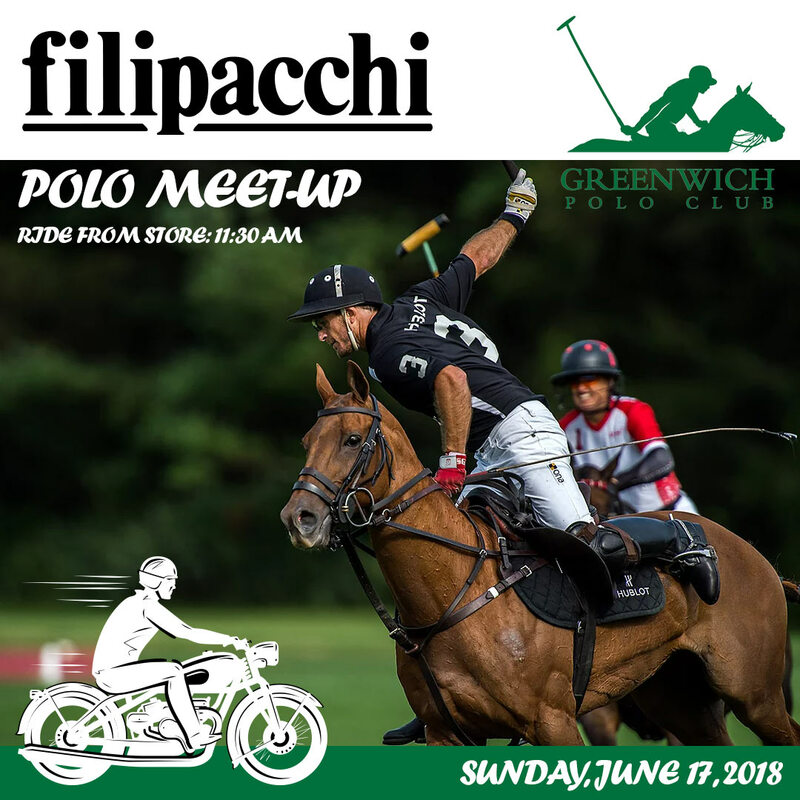 Filipacchi is putting together a moto meet up at the Greenwich Polo Club (1-5 PM) in Greenwich, Connecticut. Discounted $25 VIP tickets (normally $60) -- including Grandstand Bleacher seating, access to VIP restrooms, and a complimentary drink ticket -- can be purchased online. Riders can meet at the store (23 Prince St, New York, NY) at 11:30 AM -- KSU: Noon -- for the trip out to Connecticut (1 Hurlingham Drive, Greenwich, CT). 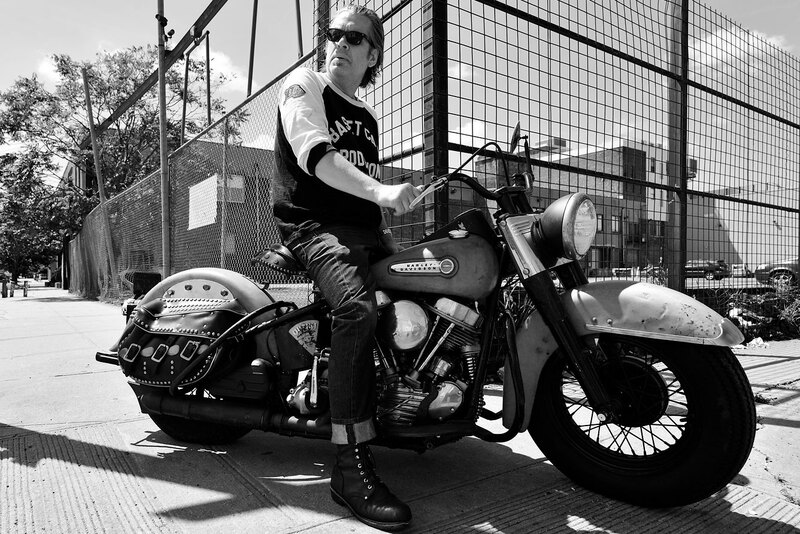 Get your New York MC listed in NYC Motorcyclist's featured club's section. We just need a logo, links to your website and social media, and a small, one-sentence description ... and Bob's your uncle. In addition to the Featured Clubs tab on the homepage, we will soon be adding a dedicated club directory page to the site. Send your club's details to rahoul@nycmotorcyclist.com or use our Contact Us Form. It’s thumbing a nose at the state of modern, disposable technology. It’s an advocate for ingenuity in the face of the elements and mechanical adversity. And it’s an inspiration to those who value being part of a close-knit moto family. 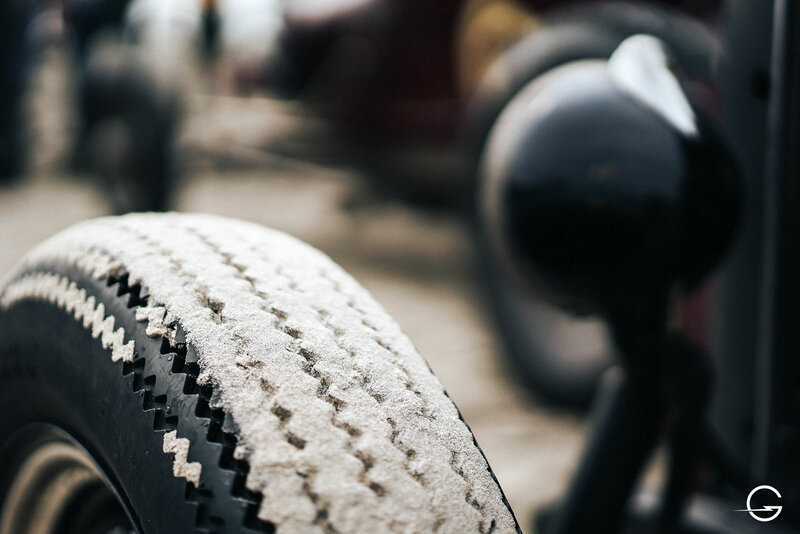 Start your engines ... It’s The Race of Gentlemen, an annual vintage hot rod and motorcycle drag competition born in 2012, and set to splash down again on the beaches of Wildwood, New Jersey this coming June 8-10. Think two growling, spitting machines, tensely waiting for the drop from an acrobatic flag girl, then peeling off in a wash of sand towards a finish line in the distance, weighing traction against power for the smoothest run possible. For race captain Meldon Van Riper Stultz, TROG is really about “familia” and a deep respect for the bravado from days past when weekend racers donned leather jackets, goggles and helmets and pitted their hopped-up, garage-boosted creations against one another in wheeled combat. Mark Squitieri is a published lifestyle, fashion and portrait photographer based out of New York City whose work includes a wealth of stunning moto product shots. Born and raised in NYC his whole life, Squitieri has been involved in photography in some form or other for more than two decades. The last three years have been his greatest in terms of growth, skill and professionalism, with his main goal always being to capture emotion and beauty in his images. April 26 to 28 motorcycles and riders of all ages and types once again arrived in Oley, PA for the Antique Motorcycle Club of America (AMCA) Perkiomen Chapter Meet and Swap. There were vendors selling everything from ephemera and small parts, all the way up to full bikes -- in various states of original condition -- to fully restored, and everything in between. There was also a full course of AMCA’s National Judging Program, in which members’ motorcycles can win awards in three categories: Restored, Original Condition or Period Modified. Instead of competing against each other, bikes entered in the AMCA Judging Program are evaluated on a 100-point scale against the standard of the same motorcycle as it would have appeared when it originally left the factory. After a year outside in the heat and sunshine as 'The Lot', Basketcase Productions' 'Splittin' Lanes & Dodgin' Gutters' show returns to Brooklyn Bowl in Williamsburg for its fourth year, Sunday, August 19. More details on the vintage motorcycle show will be available soon, says co-organizer Girard Fox, who's currently prepping his 1922 Henderson DeLuxe for this year's TROG June 8-10 in Wildwood, NJ. Tim Warner is the other half of Basketcase Productions. May is Motorcycle Safety Awareness Month with promotions everywhere asking riders to watch their surroundings on the road and to wear the appropriate safety gear. It is also a callout to car drivers to be more conscious of their two-wheeled tarmac compatriots ... 'share the road', as they say. 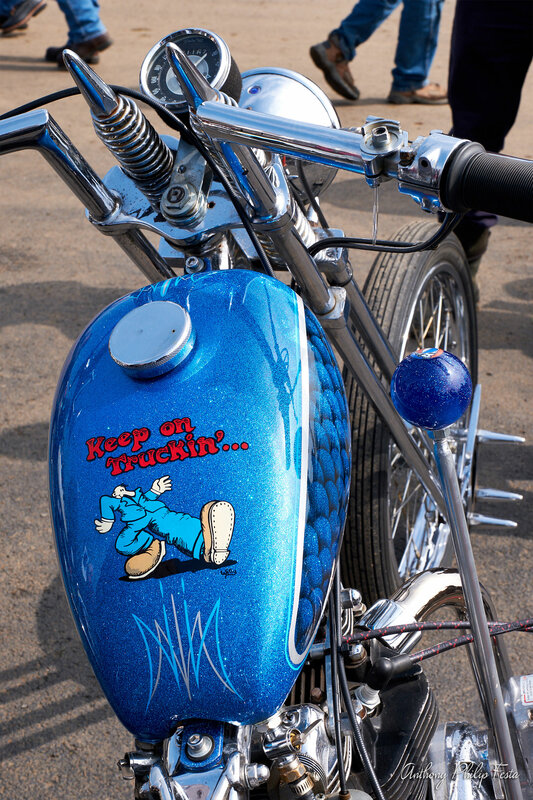 But bike safety also comes down to a well-maintained motorcycle and the ability to detect any issues before you hop on for a ride … fluid leaks, under-inflated tires, loose fasteners and bolts, old batteries and a host of predictable mechanical woes can put a wrench in your plans for that fulfilling spring tilt. So, we went to a reliable local source for some essential information and advice on how to keep your machine in proper working order. NYC Distinguished Gentleman's Ride veteran and proud Triumph owner Vincent Nicolai of Queens added another bike to his stable courtesy of the prostate cancer fundraising event's organizers and lead sponsor. Nicolai, who over the past three DGR events has raised close to $50K, took possession of a new 2018 Triumph Bonneville Speedmaster 1200 last month with matching details to his 2008 T100. The 40-year-old finished just $35 off a top 3 position in 2017, but was rewarded for his tremendous efforts over the years. He also boosted the local club he supported -- the New York Classic Riders -- to a top 4 finish in the global team tally last year. A gift well earned, sir. 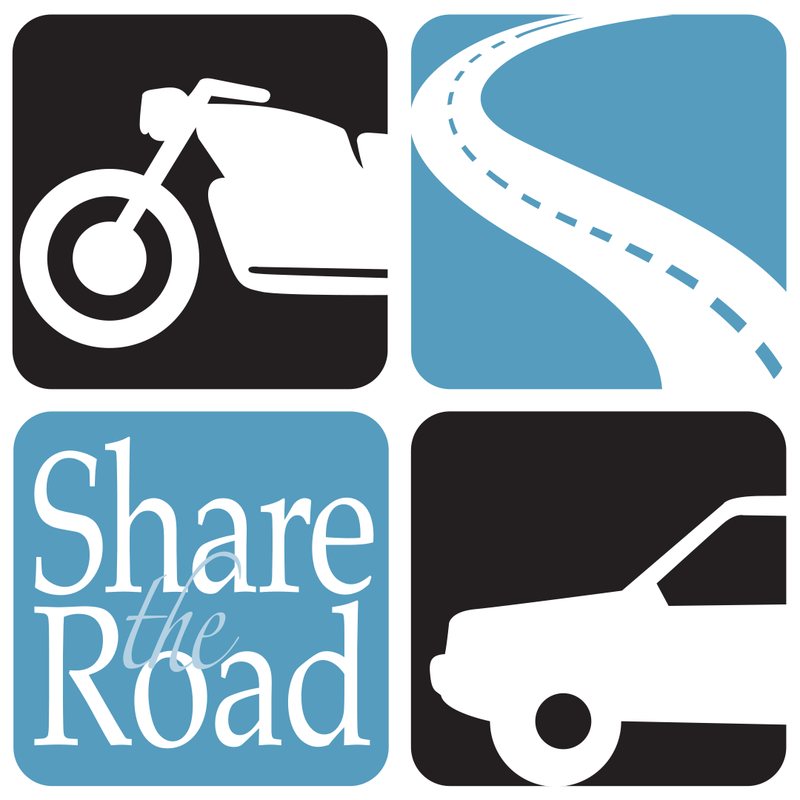 BROOKLYN, NY- Every year, Motorcycle Safety Awareness Month promotes safe riding and driving practices nationwide by serving as a friendly reminder to "share the road," not the lane. A motorcycle operator has the same rights on the road as any other motorist, including the use of the full width of a lane at all times. The New York State Motorcycle Safety Program utilizes Motorcycle Safety Foundation (MSF) curriculum for rider education. 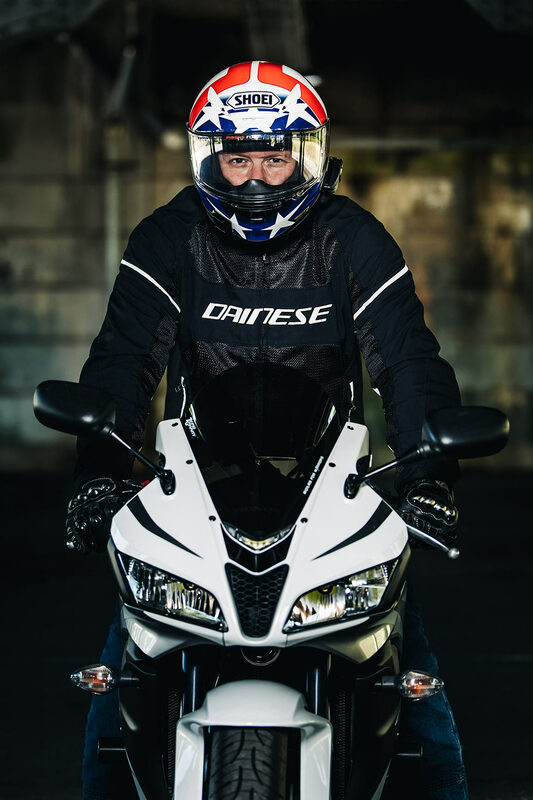 This includes the MSF Basic RiderCourse for new or returning riders, and its Basic RiderCourse 2 - License Waiver for experienced riders who want to earn their motorcycle license. "In 2017, more than 17,000 new students were taught how to ride a motorcycle" according to Program Manager, Ben Zadrozny. "New York residents now have the option to fast track the motorcycle license process -- from training to testing all at one location." Motorcycle Safety School taught over 7,000 new riders in 2017; and according to Department of Motor Vehicles, there are currently 58,240 registered motorcycles in the Greater New York Area. "We are thrilled that Empire Harley Davidson and New York Honda Yamaha are willing to support rider education by providing bikes for our motorcycle students," said Diane Howells, President, Motorcycle Safety School. Today is International Female Riders Day, an event geared to getting women riders out to celebrate two-wheeled life around the globe. Female ridership has been on an upward trajectory for the better part of a decade and is truly one of the industry's big hopes in reviving declining sales. 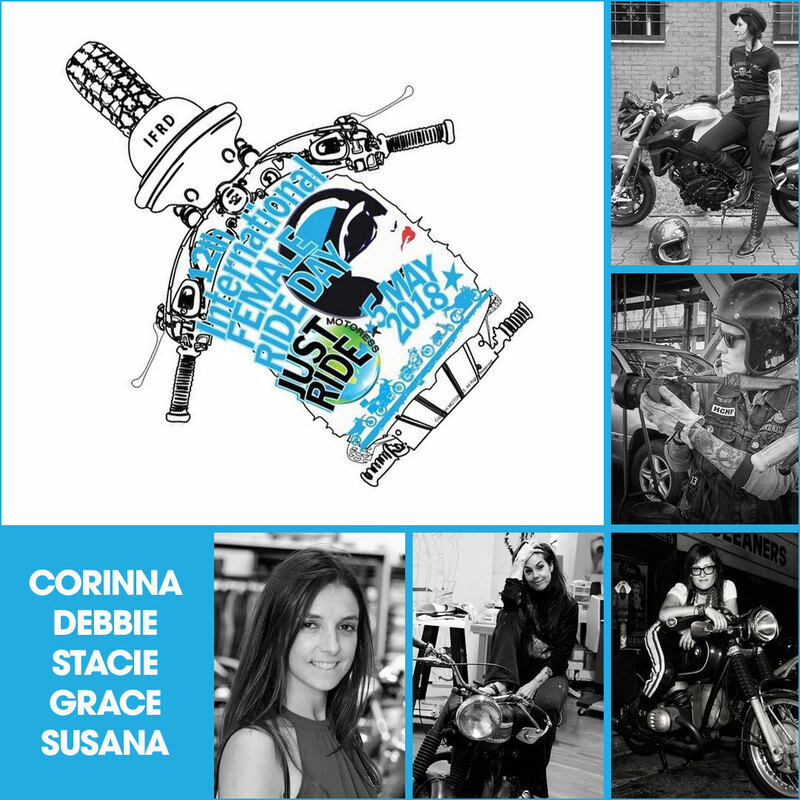 We think IFRD is also a great excuse to honor some of the diverse and accomplished women riders we know and respect. They come from a wide range of experiences, some fairly new to the riding scene ... some seasoned veterans. Some see riding as a route to female empowerment ... others defy the gender classifications and just want to be considered 'riders,' thus achieving true equality. We choose to let them speak their own personal truths. 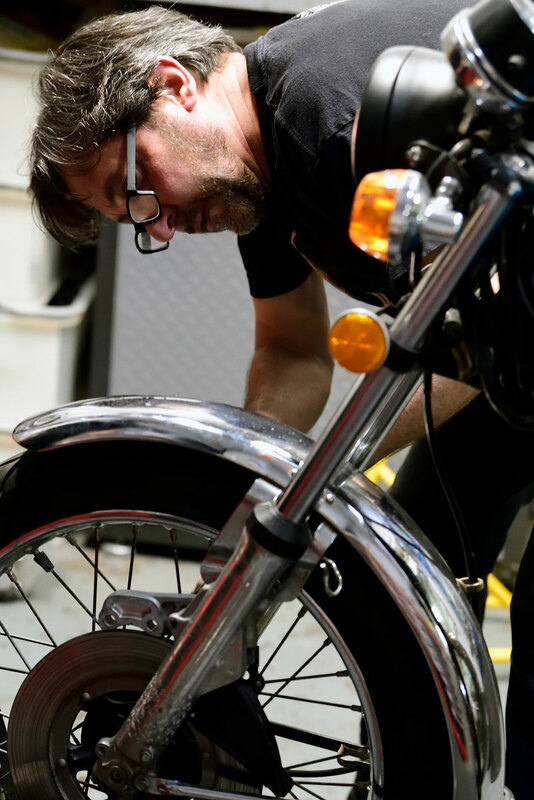 From photography and film, to building custom bikes and creating the lifestyle brand Blind Horse Moto Co., Marco Penajoia has immersed himself in all things motorcycle. The New Jersey native draws inspiration from his experiences riding and shooting internationally. 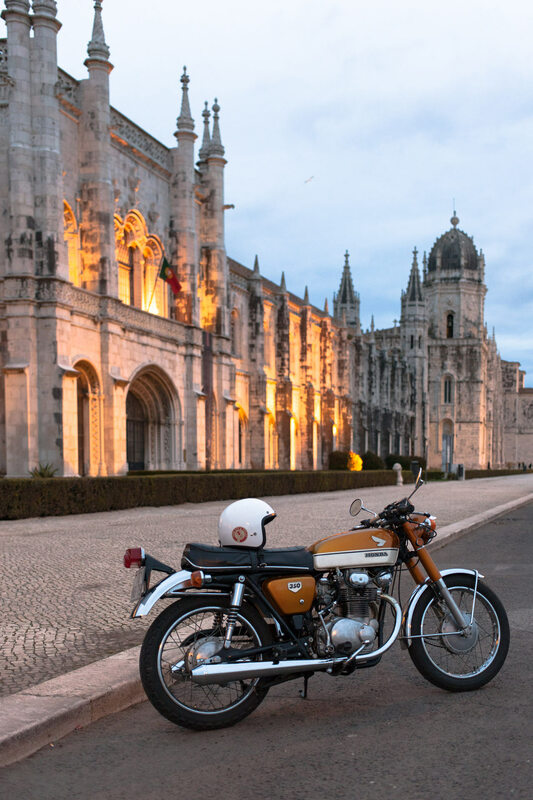 And after a 6,500-mile round trip of the USA, Marco has now set his goals on navigating the rest of the world on two wheels and documenting the journey. Penajoia's gallery includes shots of a 1969 CB350, a 1973 CB450R, and a 1978 CB550K, as well as a few frames from last year's Race of Gentlemen in Wildwood, NJ.